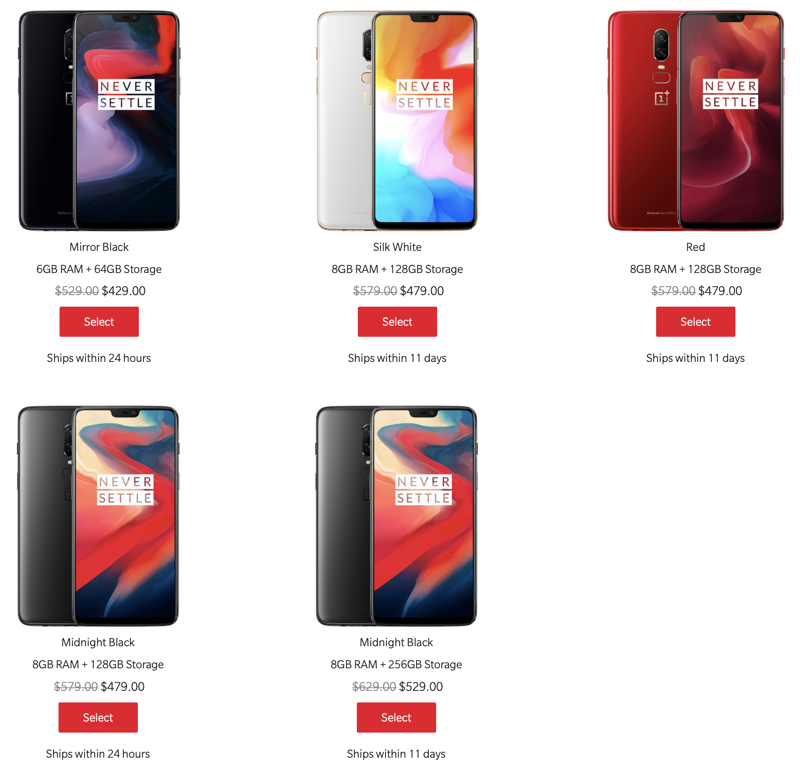 You can get every single OnePlus 6 model at a flat $100 discount straight from the official OnePlus store itself. Although the OnePlus 6T is the talk of the town right now, with its water drop shaped notch and all, but we can’t discount the OnePlus 6 from the equation at all since it’s a very, very capable handset in a lot of ways. It has a fantastic screen, offer killer performance for the money, features super fast charging and offers one of the best cameras around on a smartphone. 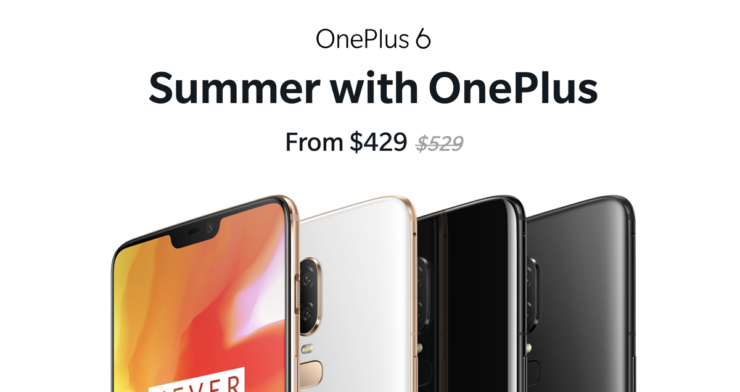 If you’ve been considering to get yourself a OnePlus 6, then you will be pleased to learn that you can pick up any model right now with a $100 discount applied to it. Yes, literally any model. Whether it’s the base one, or the highest end one with 256GB of storage and 8GB of RAM, you’re entitled to a discount. Quite frankly, this is a very good deal considering how much firepower the OnePlus 6 packs under the hood. In case you’re wondering, once you part ways with your money you get a smartphone that has a beautiful 6.28-inch AMOLED display, Snapdragon 845, 16 + 20MP dual camera set up, up to 8GB of RAM, super fast Dash charging and more. Needless to say that this phone knows how to toss dirt in the eyes of the competition despite being over half an year old. In fact, I’ll go as far as saying that this is one of the best smartphones you can buy right now once the discount has been applied. Head over to the link below in order to learn more.